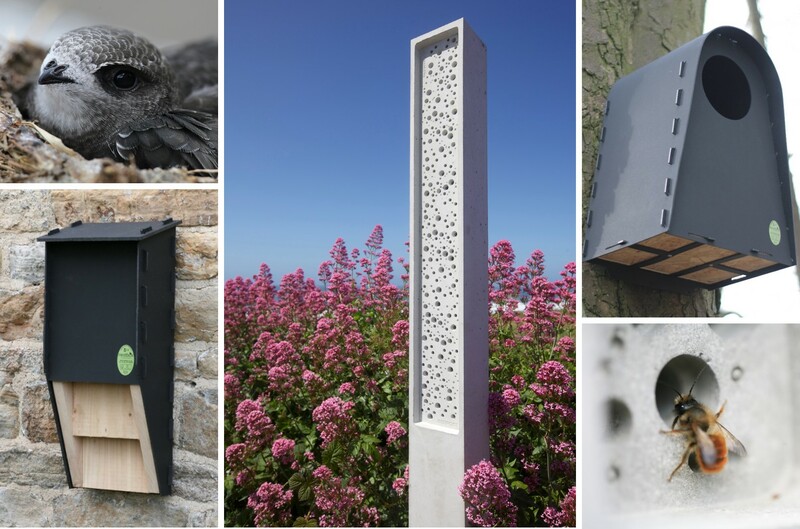 The Habibat is a large bat box made of insulating concrete with an internal roost space, which can be incorporated into the fabric of a building as it is built or renovated. 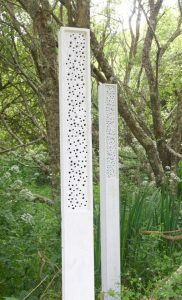 Its single chamber is internally divided by inverted V wedges to increase surfaces for bats to roost against and to allow them to move around. 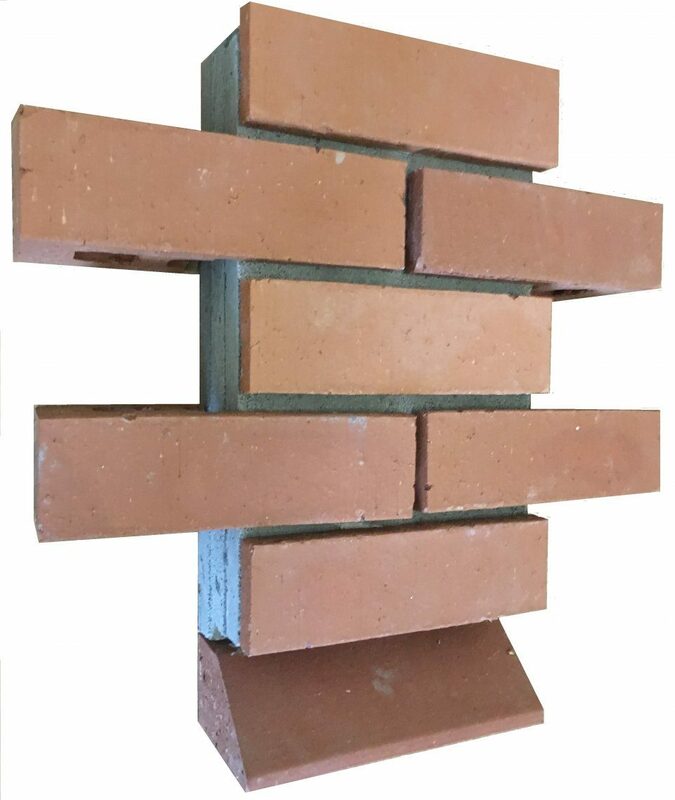 Two stock colours: Staffordshire Smooth Red, and Staffordshire Smooth Blue brick, are complemented by thousands of bespoke colours of facing brick, stone, granite, masonry, slate, terracotta, tile and timber finishes. 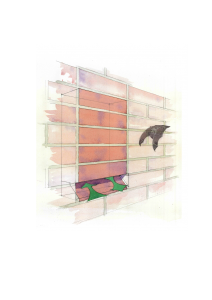 The Bat Conservation Trust will be collating information on the use and installation and of Habibat boxes. 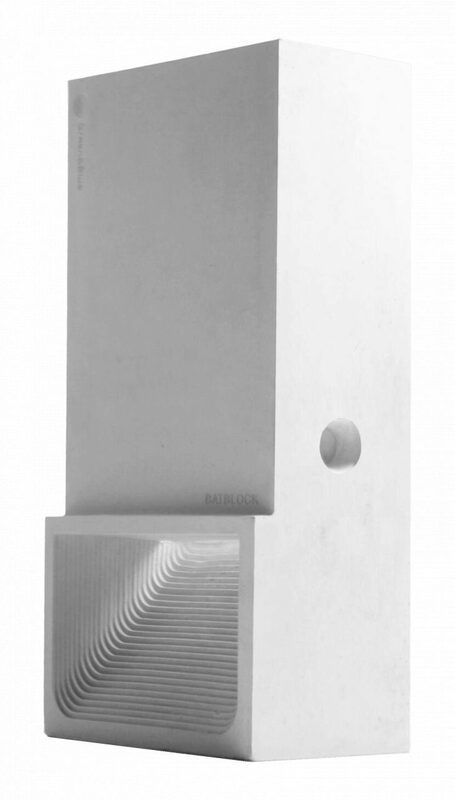 In addition, the Trust has contributed to the design of the box, and a number of Habibat variants will be tried and tested to continue the development of the product. 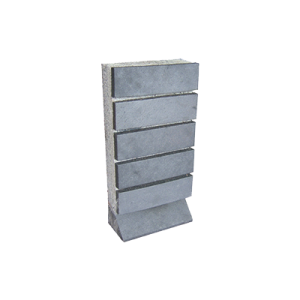 We can supply quotes for joining multiple Habibat boxes or other bespoke requirements. 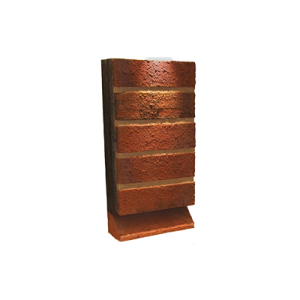 Habibat is simple to incorporate into walls as it has the same footprint as a standard UK brick (215mm wide x 103mm deep) and can be matched in height with six courses of bricks. 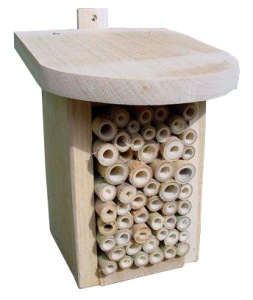 Beneficial Insect Box - overwintering for ladybirds, lacewings etc. As the days grow shorter and cooler, many animals are beginning to look for a safe place to spend the winter. The best way to cater for most hibernating animals is simply not to tidy your garden too much – a pile of leaves at the back of a flower bed provides a great place for many insects as well as some larger animals (including hedgehogs) to bed down for the winter. However, if you would like to go a step further and provide the animals in your garden with tailor-made winter homes then NHBS can help. 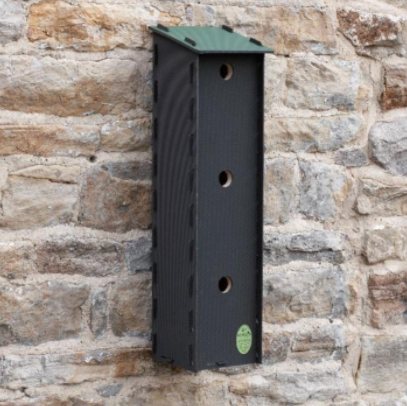 For insects, including many important pollinators, predators of garden pests, and species that are important food items for bats, frogs, and many small mammals, NHBS offers a range of nesting and overwintering boxes. For popular garden visitors like hedgehogs, and amphibians such as frogs and toads please visit our amphibian and mammal nest box pages. Bat populations have fallen dramatically in recent decades and one reason for this is the loss of suitable hibernation sites (or hibernacula). 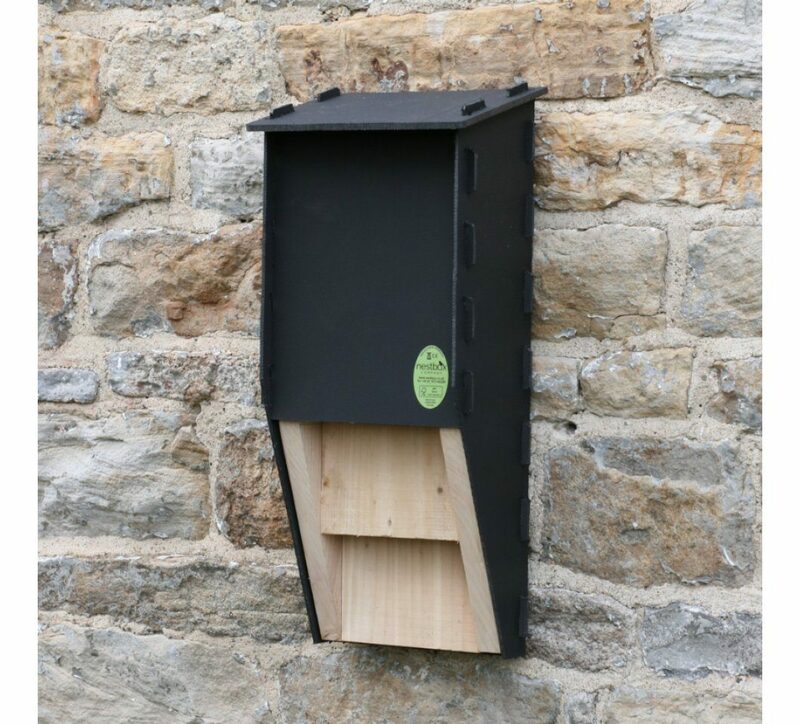 NHBS offers a wide range of tailor-made bat hibernation boxes including wooden boxes such as the Double Chamber Bat Box – and the new Triple Chamber Bat Box which we introduced last week here – as well as more durable woodcrete colony hibernation boxes such as the Schwegler 1FW. Finally, spare a thought for those birds that do not migrate south to warmer areas. 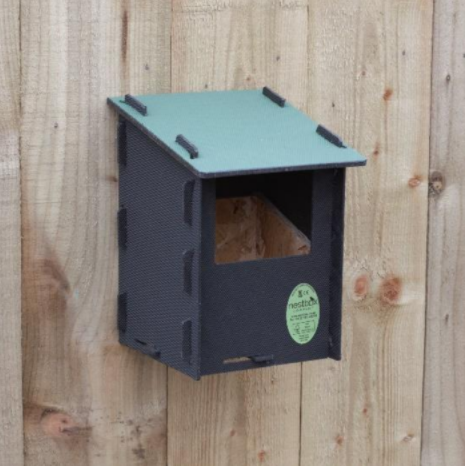 Although most of us only consider bird boxes as being useful during the summer in fact they are frequently used by roosting birds during the long cold winter nights. 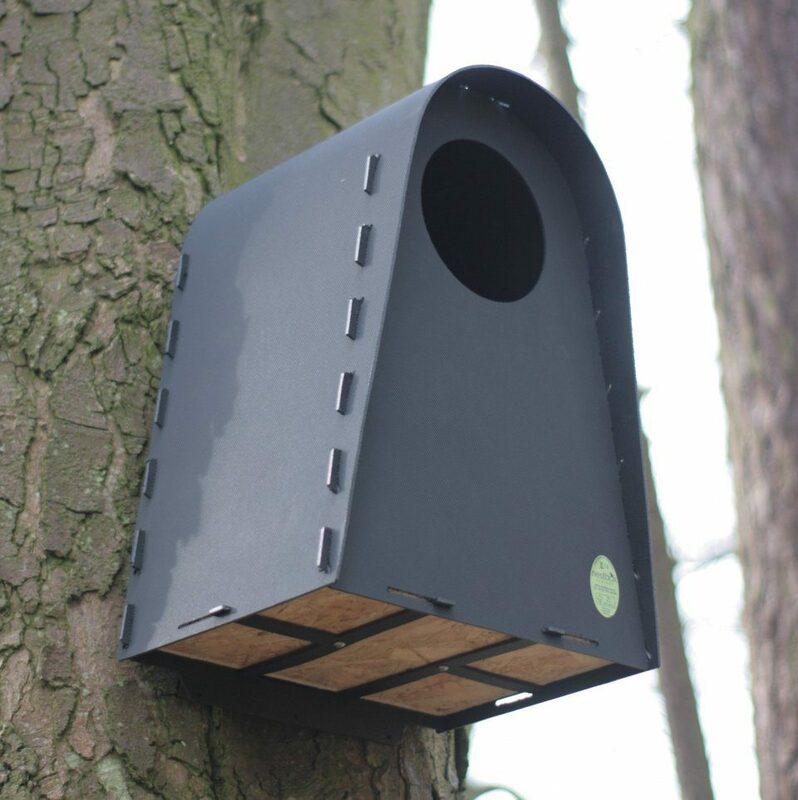 Putting bird boxes up in the autumn gives birds plenty of time to find them and increases the chances that your box will be used next spring. 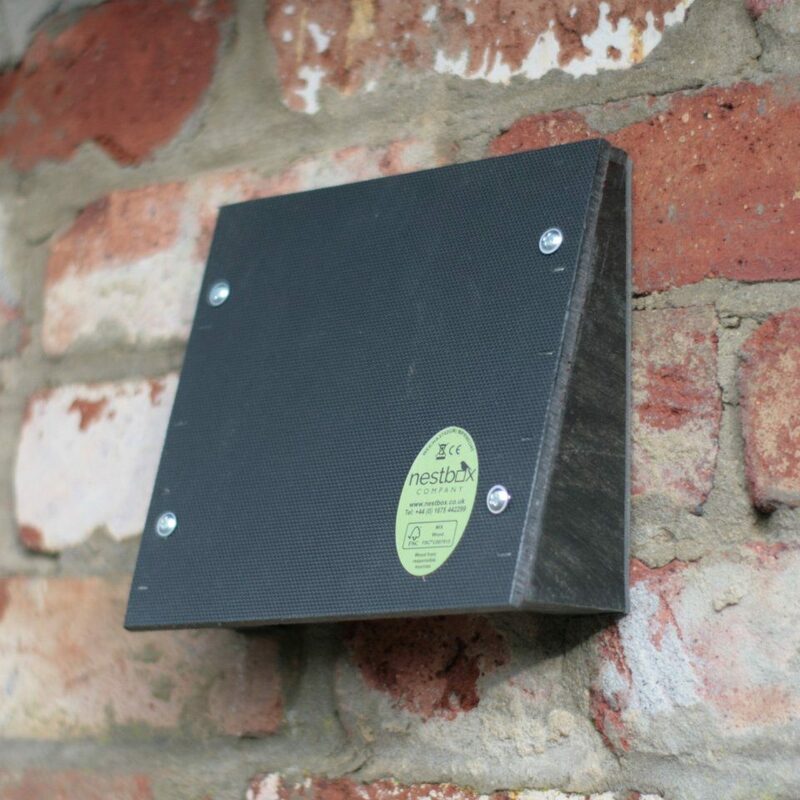 NHBS’s new Triple Chamber Bat Box is available for the first time this autumn. 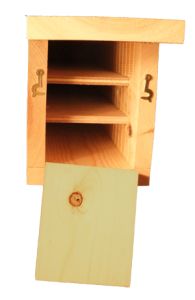 The new bat box has three large chambers providing its inhabitants with a huge living area (compared with most other wooden bat boxes). Consequently, they are particularly well-suited to large colonies, including maternity colonies. Most crevice-dwelling bat species are likely to be attracted including Pipistrelles, Brown long-eared bats, and Daubentons. 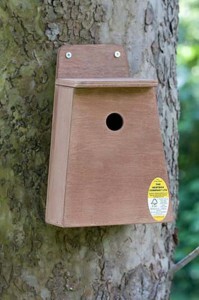 Species which may sometimes use these boxes include other Myotis species and Noctules. The boxes are very deep, providing the bats with a stable draught-free environment and plenty of space for individuals to cluster together or disperse, and for the sexes to mingle or separate. 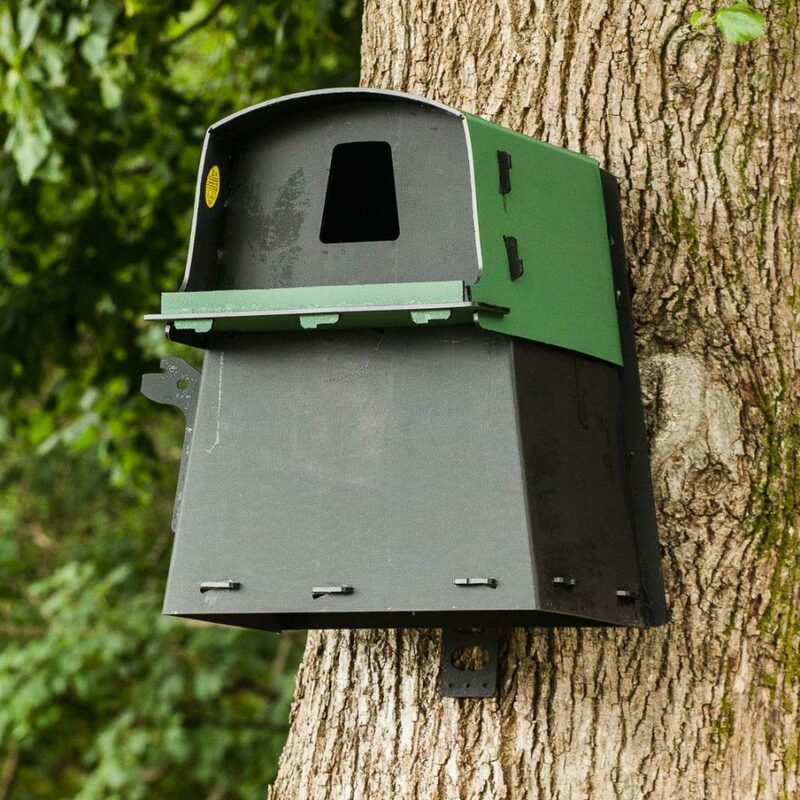 Triple chamber boxes have proved to be a success in the U.S. where it is thought that the extra space provided gives bats the room to interact more normally. 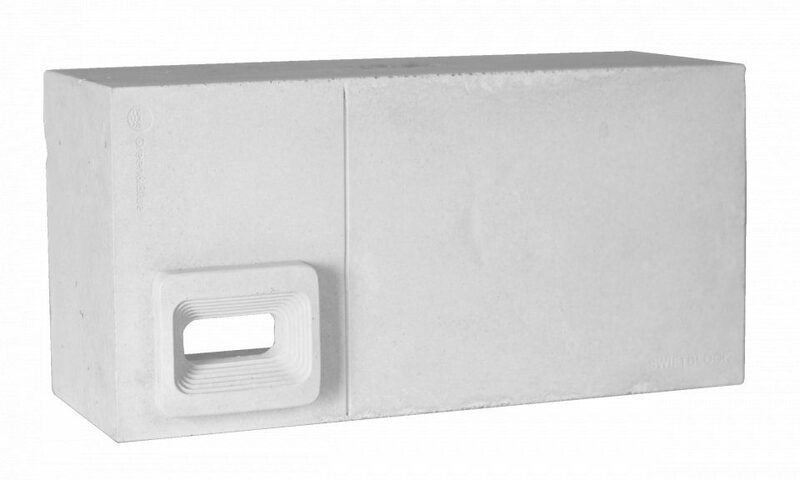 The boxes open at the top and are 60 cm high with a small aperture at the base of the box for bats to enter and exit. They are narrow (14 cm) and can easily be hung on both trees and buildings. 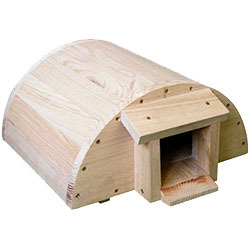 The Triple Chamber Bat Box is constructed from European Redwood harvested from a sustainably managed forest.